CanadianHistoryForKids.com reserves the right to change the terms and conditions at any time, change the site, change or eliminate content or features without notice. This site is privately owned. Any forms on the site which gather information is not sold, or used in any way. If you provide personal contact details, they are never given to any third party, nor sold or stored. Information gathered for the email updates is used to send out update notices only. You may unsubscribe at any time by either sending an email with the word “Unsubscribe” in the subject. As all material presented on the site are copyrighted by the Signature Productions. 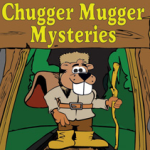 Images, Beaver Tales, and Character Information shown are the property of the author and Signature Productions. No part of this site may be produced, stored in a database or retrieval system, or distributed in any form or by any means, electronic, mechanical, photocopying, recording, or otherwise, without the prior written permission of the author, Mickey Maple. Copyright 2011, Signature Productions. The site may contain links to other websites and or link to content created by other sites or third parties. The author of CanadianHistoryForKids.com does not endorse any external content or sites. The author of CanadianHistoryForKids.com has not reviewed or approved any content which you may access through any such links. Links to external content, website or otherwise, are the responsibility of the user and not the author of CanadianHistoryForKids.com.